Super Eagles forward, Alex Iwobi has revealed that Arsenal have everything going well for them ahead of the Premier League season. 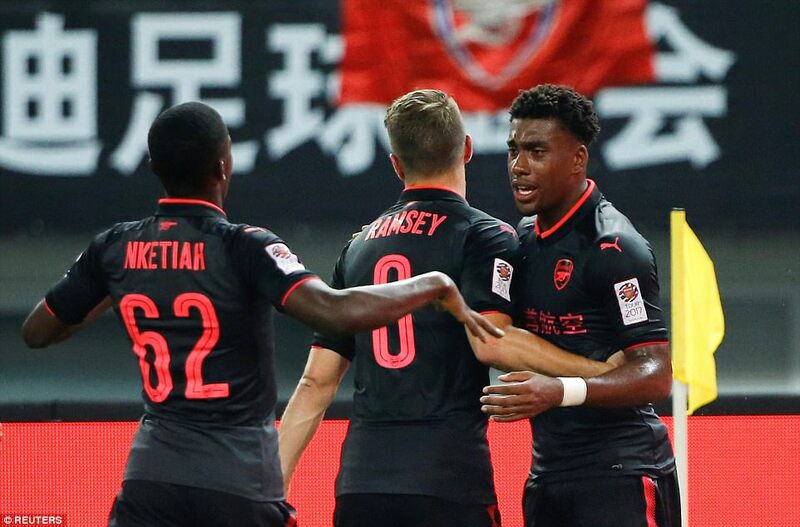 Despite coming on in the second half, the Nigerian international scored a 92nd minute goal to earn Arsenal a 1-1 draw against Bayern Munich before the North London club won via a penalty shootouts in an International Champions Cup on Wednesday. Iwobi who is hoping to hit the spotlight this season regardless of team’s manager, Arsene Wenger reinforcement of players this summer transfer, still believed that he’s a future in the team. He stated that his delight to have scored against the Bavarians and hopes the goal would be a sign of good things things to come. headed it in and we were able to win it on penalties. I’m just grateful for that,” he said. “It was a good finish. We pulled it out at the end and it was nice to win the cup.